Refine + Radiate Beautifying Face Mask features in 'Why Turmeric Is Brilliant For Your Skin' in Red. Himalayan Salt Soak featured in Veggie Mag's Beauty Special. 'Beauty Products We Love' feature. Jasmine Sunset Radiance Body Oil is featured in Stealth Tanning Is The Secret New Way To Get A Natural Looking Tan. "Don't let the dark colour fool you, it's super lightweight and easy to layer." Nourishing Hair & Scalp Oil is featured in Facials For Your Scalp – The Latest Innovation In Haircare. "Massage a few drops into the scalp or add some to your shampoo – it's particularly great for thinning hair and psoriasis." 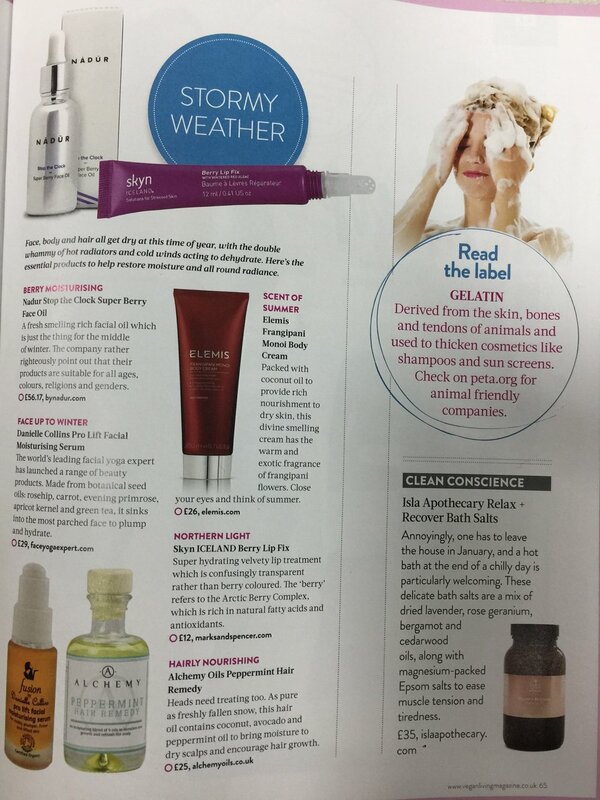 Wonderlusting Lynda sings the praises of our Lemongrass + Rosemary Foot Scrub in April's Natural Health Magazine! Available from 6 April 2017. 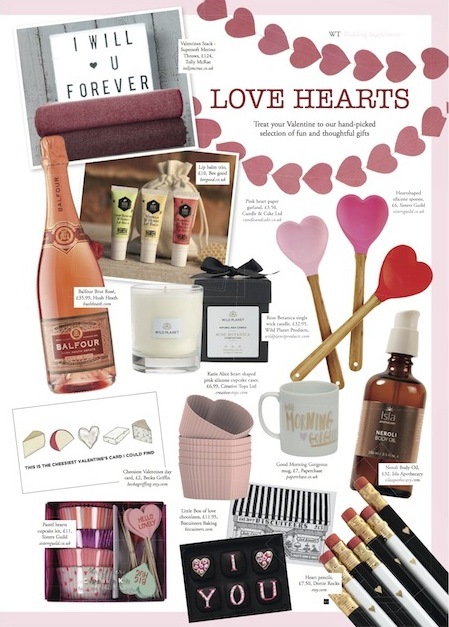 Neroli Body Oil is featured in Wealden Times' Valentines edit. Foot care with our Lemongrass + Rosemary Renew Foot Scrub, and Beard care with our Nourishing Beard Oil feature in January's magazine. Available from 19 December. Our Himalayan Salt Soak is featured in Wallpaper's at-home Ayurvedic healing wellness kit. Find it here or on page 069 in the January 2017 publication. Featured in 'Planet-saving skincare brands'. Find us in POPSUGAR. 's round-up of 'green' skincare brands; 11 Clean Skin Care Brands All Green Goddesses Should Know About. Why clean beauty will soon be taking over Londoners' bathroom cabinets. Call It Vanity blogger Mayah Parmenter's includes Isla Apothecary in her low-down on a cleaner and greener beauty regimen. Isla Apothecary appears in We Heart Living's July feature on Clean Cult London! Interview with Clean Cult London, the organiser's of the capital's 1st wellbeauty event hosted by green beauty gurus Clean Beauty Co. & Call It Vanity. Founder Kate was recently interviewed by the lovely and talented blogger and creator of Found Some Paper, Uli Schulze. In Vol. 5 The Throwback Issue, available from newsstands in Harrods & Selfridges from 15 April. 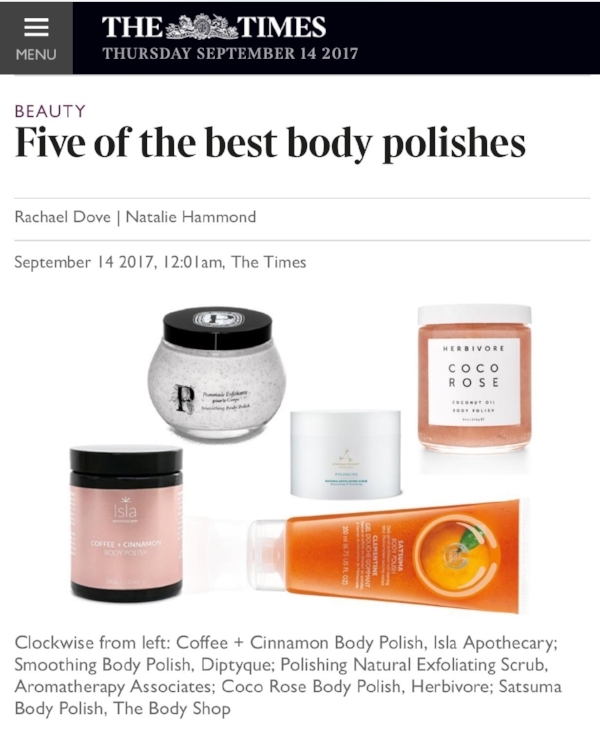 Find Hawaiian & Himalayan Detox Bath Soak featured in the Raw Beauty edit of the April issue of British Vogue, available from newsstands on 10 March! The Great British Exchange interviewed Isla Apothecary Founder Kate about her inspirations and processes from conception to completion, in their latest Producer Profile. For all press enquiries, please contact us at info@islaapothecary.com.